He can't hear you up there! 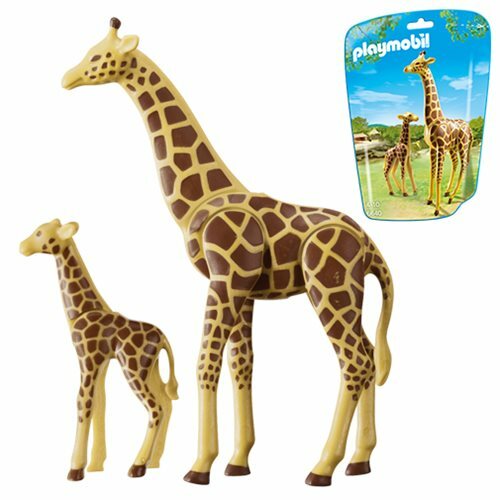 The giraffe family is tall and proud, painted with the familiar brown pattern to keep a reasonably low profile in high places. This bagged set includes a calf with an articulated neck with a fully-poseable adult. Add it to your zoo or wild animal preserve today!